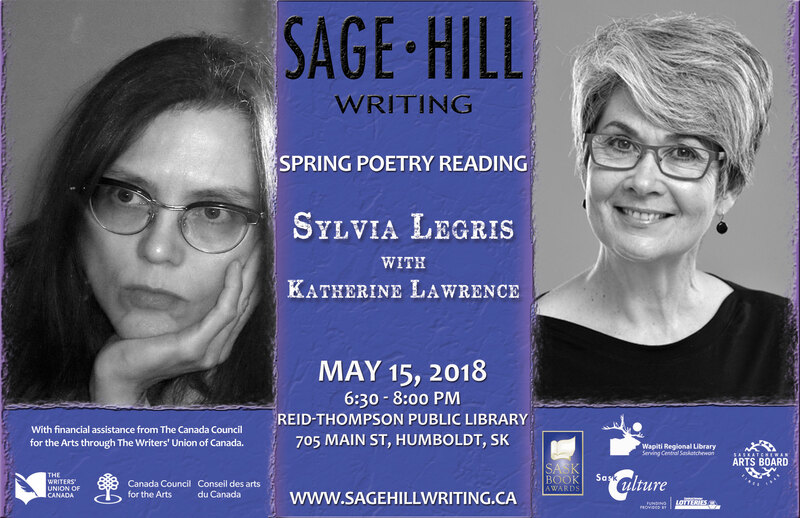 Sage Hill Writing is thrilled to present Sylvia Legris and Katherine Lawrence at this year’s Spring Poetry Reading. The reading takes place at the Reid-Thompson Public Library, 705 Main Street, in Humboldt, SK. Offered in partnership with Sask Book Awards and the Humboldt Public Library, with support from The Writers’ Union of Canada, Canada Council for the Arts, and the Saskatchewan Arts Board. Sylvia Legris’ latest book is The Hideous Hidden (New Directions, 2016). Other collections include Pneumatic Antiphonal (2013), published as part of New Directions’ acclaimed Poetry Pamphlet Series, and Nerve Squall, winner of both the 2006 Griffin Poetry Prize and the 2006 Pat Lowther Award. Among her other awards are the 2014 Lieutenant Governor’s Saskatchewan Artist Award and, in 2012, the Canada Council’s Victor Martyn Lynch-Staunton Award for outstanding achievement by a mid-career writer. Her poetry has been a finalist three times for a National Magazine Award, and has also won the Malahat Long Poem Prize and the Bliss Carman Poetry Award. 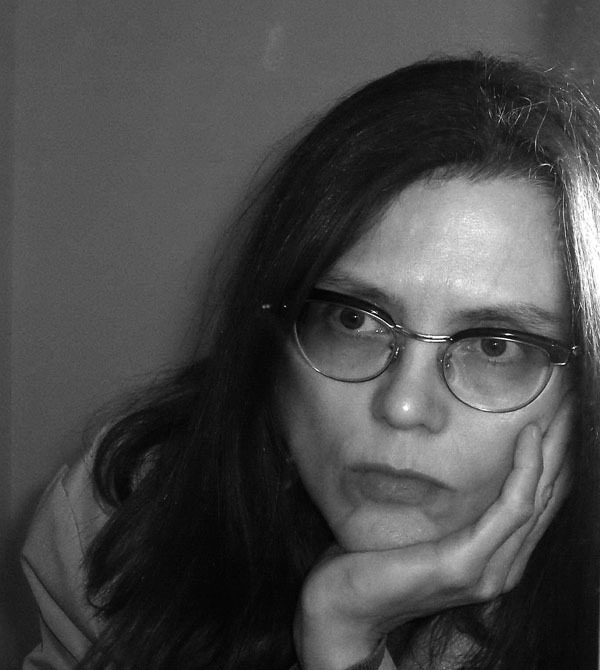 Her work has appeared in The New Yorker, Granta, Poetry, Kenyon Review, Harvard Review, and Prac Crit. She is currently a mentor in the University of Saskatchewan’s MFA in Creative Writing Program, and is a former Poet-in-Residence for Arc Poetry Magazine and a former editor of Grain Magazine. Katherine Lawrence is the 2017-2018 writer in residence at the Saskatoon Public Library. Her most recent book, Stay, a young adult novel-in-verse published by Coteau Books, won the Gold Moonbeam Award for Children’s Poetry. The book is also shortlisted in the 2018 Saskatchewan Book Awards for Children’s Literature and also for Poetry. Katherine’s other titles include three collections of adult poetry: Never Mind (Turnstone Press: 2016), Lying to Our Mothers (Coteau Books: 2006), and Ring Finger, Left Hand (Coteau Books: 2001). 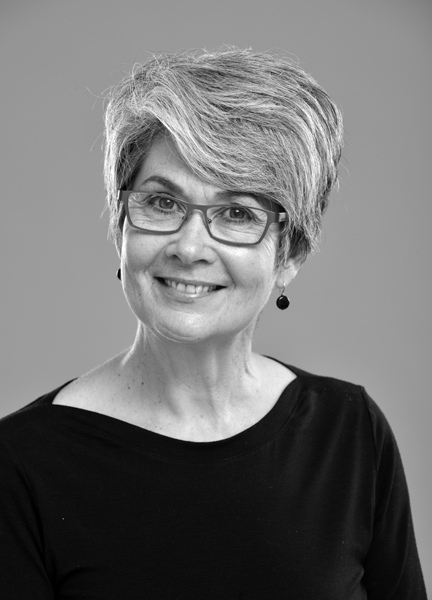 Her work has received numerous honours and awards including Best First Book from the Saskatchewan Book Awards; the City of Regina Writing Award, and the John V. Hicks Long Manuscript Award. Katherine is also a playwright with new work on the stage at the 2018 Saskatoon Fringe Festival. She holds an MFA in Writing from the University of Saskatchewan. She has lived in Saskatoon for 32 years and is originally from Hamilton.